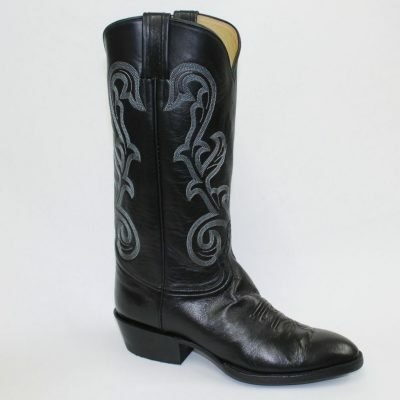 This stylish satin black square toe, 13 inch boot made from the water buffalo is the perfect complement to a well dressed man and working cowboy. 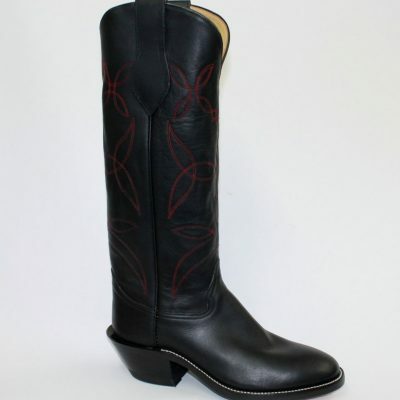 We carry “D” widths in stock. All sizes and widths are available to order. Please contact our customer service to place an order if your size is not listed.